"You are already late for class." Dating back to Tech’s early days as a trade school, the whistle regulates day-to-day life on campus, blowing at five minutes ‘til the hour from 8 a.m. to 6 p.m. every weekday. It has been the target of many pranksters and is probably the second most desirable prize on campus behind the Tech Tower ‘T’. 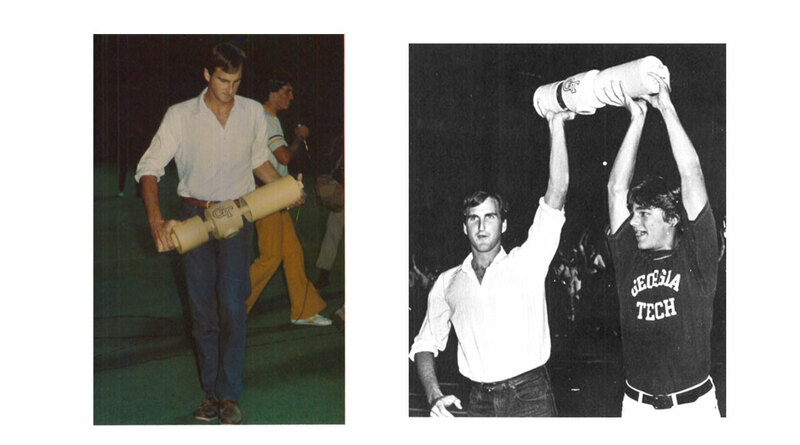 The whistle is the oldest recorded tradition at Georgia Tech. The first steam whistle was installed in the rebuilt Shop Building in the fall of 1892, only to be stolen for the first time in 1905. Most recently, the whistle was taken in 1995 in historical fashion. On May 12th, 1995, G. Wayne Clough was inaugurated as Georgia Tech’s 10th president. To mark such a historic occasion, administration had planned a procession consisting of hundreds of students, faculty, and alumni from the Georgia Tech campus to the Fox Theatre. The procession was led by Clough and his wife, Anne, riding in the rumble seat of the Ramblin’ Reck. As the procession went forth, the whistle was to blow ten times to signify Clough as the 10th president. However, Kevin Morgan (EE '95) and Duane Horton (BC ’97) had plans of their own. 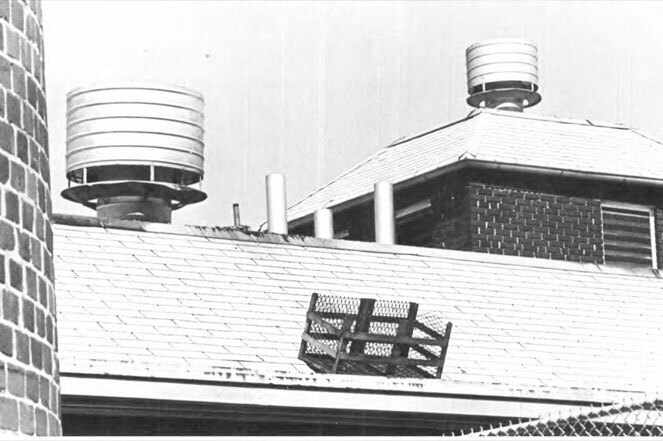 The night before the parade, the students stole the whistle, leaving the facilities staff frantic to find a replacement which resulted in what has been described by Morgan as an “air burst…raspberry…blubbery sound.” The whistle was returned to President Clough at a meeting in his office, appropriately mounted with a small description of when and why it was given to him. 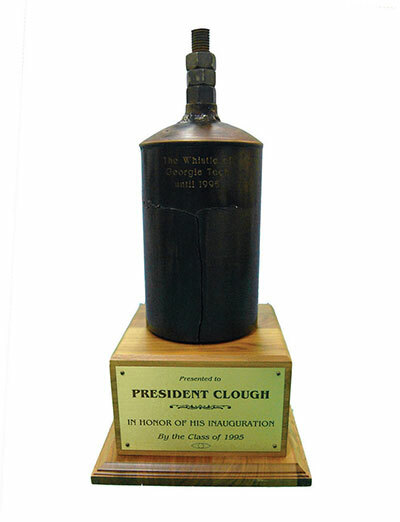 Clough kept the whistle on display on his desk during his time as president until he was appointed Secretary of the Smithsonian Institution where one can rest assured that the whistle is still on display in his office in Washington, D.C.
For the past ten years, this timeless Tech symbol has been an integral part of “When the Whistle Blows,” a ceremony that honors and celebrates the memory of those who have passed over the past year. The current steam whistle, which is attached to Georgia Tech’s power plant, was built by GTRI in 2004 to more closely match the original specifications of older Georgia Tech whistles. Aside from marking the end of class, the whistle also blows to celebrate touchdowns and home football victories, and thus it is a most welcome sound to the ears of Tech students. Students return the stolen whistle after successfully convincing the adminstration to ensure it's continued use.